Parade through downtown begins at 10am. Festivities continue at Riverside Park. Food and music are sponsored by the American Legion with fireworks at dusk. Fireworks begin at dusk on East Lake Street on the grounds of Seljan Tools. Enjoy the show, concession stand and lots of fun! Shop your favorite stores and enjoy finding savings on the sidewalks and in the stores during this holiday sidewalk sale. Stores will be open until 9pm on July 4th for your shopping convenience. The event will run Thursday, Friday and Saturday from 10am-pm, and Sunday from 10am-7pm. Batter Up! Come and cheer for your favorite team, or just come and watch America’s Favorite pastime at Centennial Park in Johnson Creek. Tournaments will feature a number of teams from the area and take place Friday, Saturday and Sunday July 5, 6, 7 from 8:00am – 9:00 pm. Tournament will be held rain or shine. Two day horse show. Food available on site. 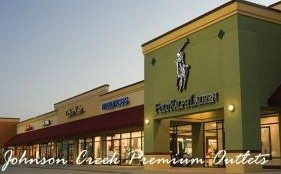 The Summer Music Series, presented by Coca Cola, will offer free live music throughout the summer at Johnson Creek Premium Outlets. On July 6, Hat Trick will perform from 12:30-4:30pm as part of the July 4 Summer Sale. This is a family fun, kid-friendly, free event for all. Welcome to 2shores Sunday “Cars and Coffee”. You’ve probably either heard of it or have been to it. 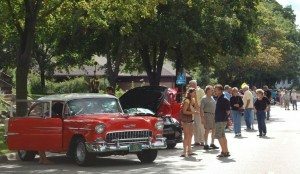 It is the fastest growing classic car meet in the Midwest. Our fourth season, 2012, was awesome, thanks to all of you bringing your rockin’ cars out! The gathering is open to classic and collector car enthusiast from all makes and models. We’d like to invite everybody with a passion for exciting automobiles to come, bring a car and enjoy the meeting. Our store neighbor “Sweet Lips” is offering a full Italian coffee bar for a strong and delicious brew needed in the morning. Our emphasis is to share the passion for cars, mingle with like-minded car nuts and enjoy our automobiles.The 2012 Super Cars & Coffee “Concours on the Green” has been a huge success again. Thank you all for bringing your wonderful cars and supporting the event! We meet at our Showroom on 119 Church Street, Lake Mills, WI 53551. Lake Mills is conveniently located right off I-94, just a short 20 minutes East of Madison and about 45 minutes West of Milwaukee. 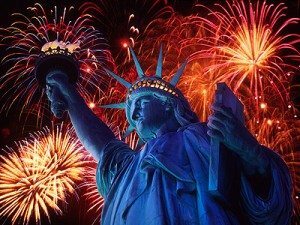 Jefferson is holding there annual fireworks at the golf course on July 6th. There is a 5k race in the morning, and festivities, food, and music throughout the day. Fireworks at dusk.